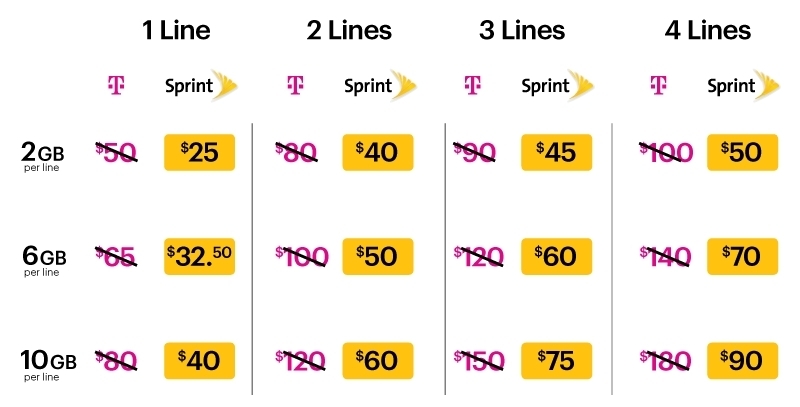 I would call the deal simple, but I took a look at the mile-long terms and am not so sure anything about this could be simple, especially when you start talking about cutting prices in half from three different carriers who all offer wildly different plans at varying prices and with different amounts of data. So here is the deal, in the simplest terms I can explain it. 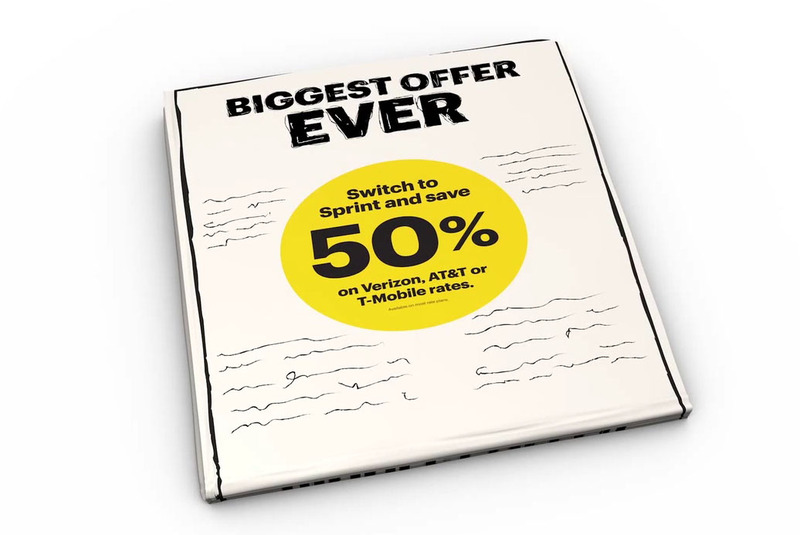 Sprint is going to cut 50% off the plans that your carrier currently offers if you port your number over to them. 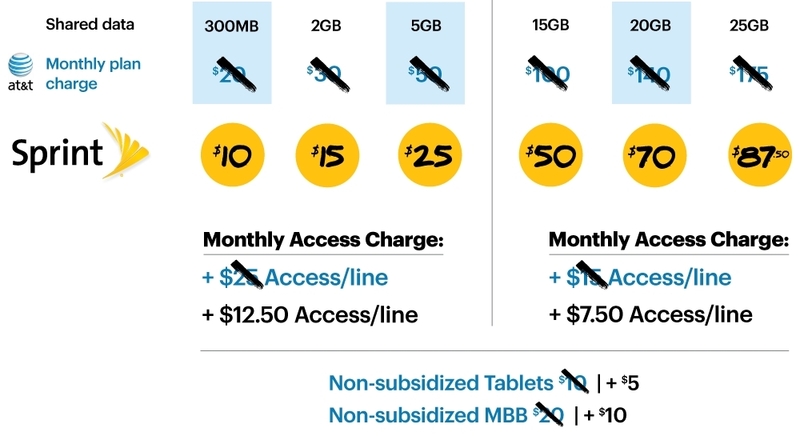 That includes 50% cuts on both data buckets and the monthly access/line charges. Sprint is also willing to pay up to $650 for anyone who switches, meaning they will cover your early termination fees up to $650 per line. New Sprint customers can sign-up for this offer from November 20 (this Friday) through January 7, 2016. The discounted rates will last through Jan. 8, 2018. You’ll notice that said “new” customers get this deal. To “reward” existing customers, Sprint is giving away free tablets (while supplies last) with one year of free service, as long as they sign a 2-year contract. This is a worry-free offer. Customers have 28 days to experience Sprint service. If they are not satisfied, customers can return their device with no restocking fee. Visit your local Sprint store, Sprint Store at RadioShack, www.sprint.com or call 1-800-Sprint1 to switch. Get your new device with Sprint Lease, iPhone Forever, Sprint Easy Pay installment billing or pay full retail price for the device. Or bring your own compatible device. Customers must port one line, and can add up to 9 additional lines on the account. Customers must choose from the 50 percent off rate plans available from their current carrier. Cricket and MetroPCS customers also can switch and save 50 percent off their parent company’s postpaid rates. 50 percent off pricing remains valid until Jan. 8, 2018, for activations between Nov. 20, 2015, and Jan. 7, 2016. Sprint will pay your switching fees up to $650 per line via an American Express® Reward Card after online registration and phone turn-in. Here is a kid explaining it, because Sprint claims that it’s so simple, a kid can understand it. After looking at it all, I certainly hope so for the sake of Sprint employees who have to try and sort all of this out. Again, the deal goes live on November 20. Here is a direct link to the new 50% off page.